Transition time on the Chiltern Line. 165026 passes Ardley on 19 April 1992 with the 10:27 Marylebone to Banbury Network SouthEast service. 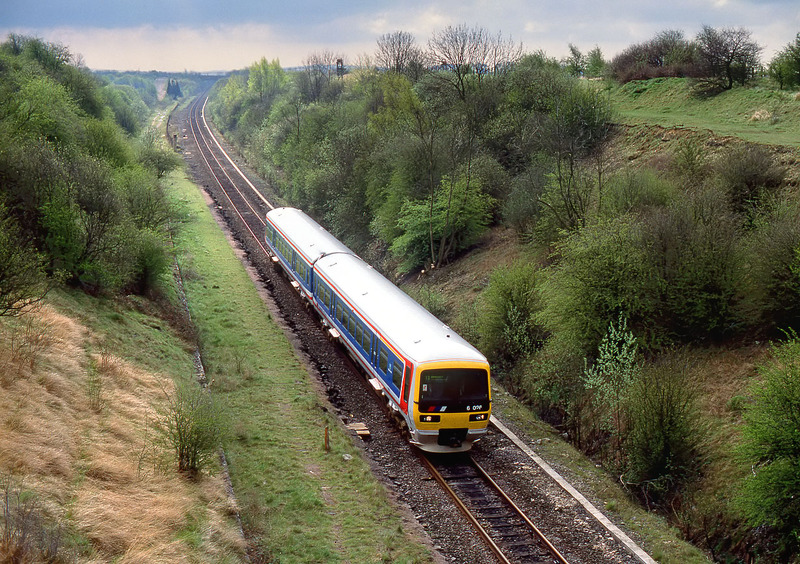 Although the route had just acquired the brand new Class 165/0 Turbo units (165026 was just two months old when this picture was taken), it still had a very infrequent service, and this section from Bicester to Aynho Junction was still single track.